We are not an Indian Ocean player alone, we are talking of Indo-Pacific. The defence minister’s commemorative address focused on India’s commitment to a rule based multilateral order and Chief of Defence Staff, Sri Lanka, assured India that China’s use of Hambantota port is not military. 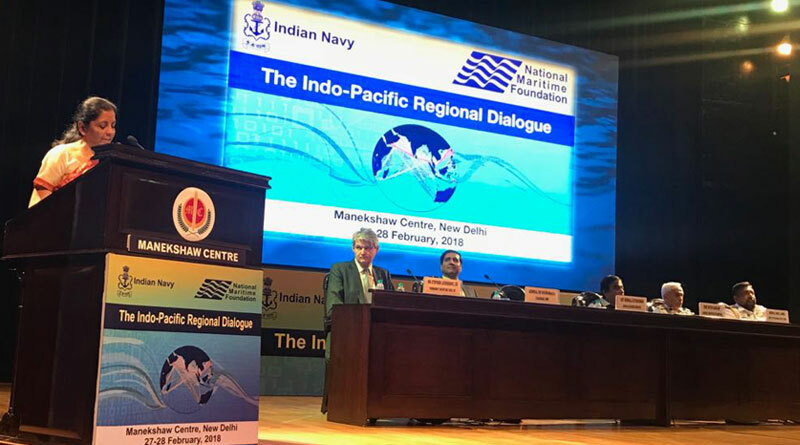 Defence minister Nirmala Sitharaman set the tone for the Indo-Pacific Maritime Dialogue by highlighting India’s role in the maritime domain of an increasingly contested world. She stressed that a rule based order is essential underlining Prime Minister Modi’s concept of SAGAR, “Security and Growth for All in the Region”. The defence minister’s commemorative address at the two-day event organised by the Indian Navy and the National Maritime Foundation focused on India’s commitment to a rule based multilateral order. “We are not an Indian Ocean player alone (sic), we are talking of Indo-Pacific. 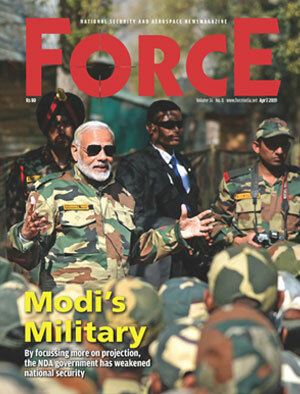 India has captured its critical position in the global domain,” she said. “Merchandise interest will be safeguarded only when your maritime interests are protected. “The minister pointed out the importance of freedom of navigation and opined that forming alliances can help in rationalizing costs of military preparedness especially in the maritime domain. “Freedom of navigation cannot be unilaterally or arbitrarily questioned by any one country, regional power or group,” referring to the elephant in the room, China, without naming it. Admiral Lanba, answering a question from a reporter, informed that Maldives has declined India’s invitation to participate in ‘MILAN 2018’, a multilateral exercise which is being conducted under the command of the Commander-in-Chief, Andaman and Nicobar Command (CINCAN) from March 6 at Port Blair.